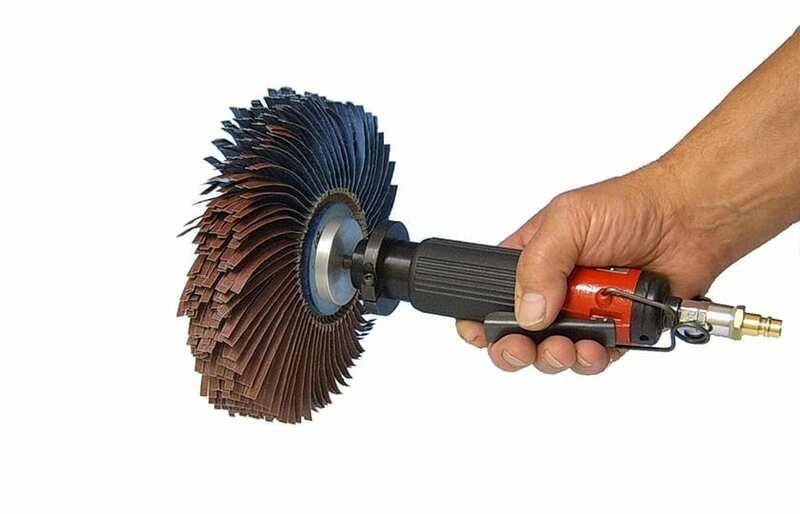 The pneumatic one-hand tool FAPI-F3 can be used with a variety of Picard tools, such as deburring or profile grinding wheels, sisal cord leather brushes or fibre brushes. The low weight and the relatively small tool diameter guarantee an effective edge and profile grinding. The powerful machine guarantees fatigue-free working. We will be happy to provide you with a test device to try it out.